I found English muffins today! I chanced upon them while dragging my feet in obedience to my mom’s craving for more munchies. We were walking by a little bakery station, after having just just checked out of the grocery with a bag of yummy cookies which I thought would suffice. I was making fun of what I thought was her unnecessary craving for more food. (HA, look who’s talking, Tanya-of-four-stomachs!) But out of the ever-hungry corner of my eye, I spied a familiar and missed sight, that of a soft, thick disc, pale and edible. They were stacked up in a simple little tower wrapped up in shiny plastic bag. “MOM THEY HAVE ENGLISH MUFFINS!” I exclaimed. So I ended up with more food, including a fairly large (pricey but absolutely worth it) chocolate chip cookie, with the edges baked to a crisp but oh so chewy brown. Ah! Beautiful! At first my mom disagreed with its cost, but after a single bite, she was converted. I foresee her buying a fair share of these for her own happy consumption in the months to follow. Now there was a time that I was obsessed with bagels for breakfast. Actually, bagels in general. I was just as delighted to find bagels in Manila, as I was to find English muffins today. 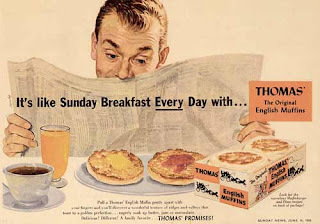 Then I moved on, and fell in love with English muffins. There must have been a handful of reasons why I gave up on bagels, though I had ridiculously shunned English muffins for the first three years I was in college. (I had little faith in their ability to feed my hungry stomach! They looked so flimsy!) The Downfall of the Bagel in my life, began when I stopped finishing the bagels. I’d leave half of them uneaten – tired of chewing it, and tired of its uncomfortable and annoying chewy-ness. I would lose interest in the bagel, and my appetite, even before I was done eating. Maybe I just never toasted them long enough? Maybe I just wasn’t getting good quality bagels? 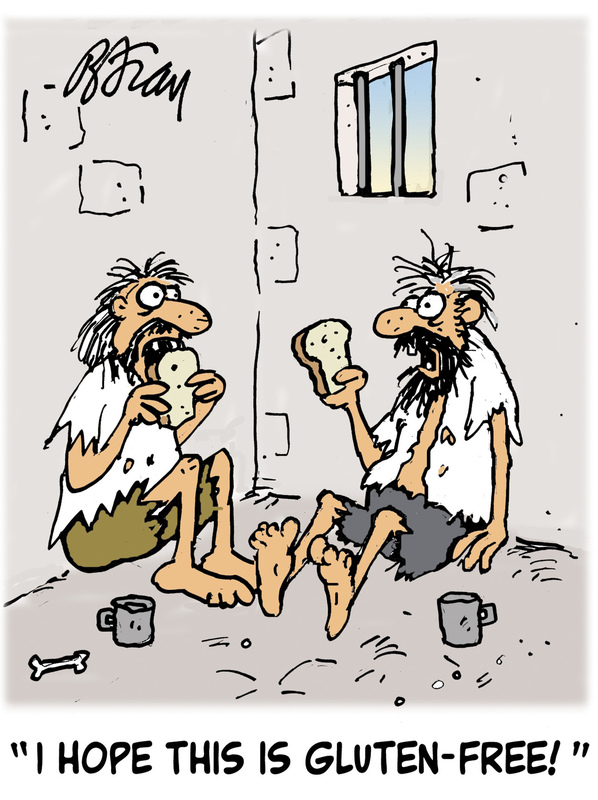 Does anyone else think this much about their choice of breakfast bread?? As breakfast, or as snack, or as second breakfast, I would often prepare more than one English muffin. Each of a different variety. Butter and cinnamon sugar. Cream cheese and blueberry jam. Butter and apricot preserve. Peanut butter and cinnamon sugar. Just butter even. Or you could put an egg in it, with cheese melting gently. I’d put it on a take-away paper boat from the dining hall or wrap it in foil to preserve the warmth. Nom nom nom. I was like a squirrel, my friends would tell me, packing food in my bag all the time. There’d always be something edible and snackable in my bag. Sometimes a couple cookies. Often a stack of cookies or a dessert variety. That day I told myself, enough is enough! I can’t let another week go by without going out and taking a dance class. That was to be the big item on my checklist for the week. So I stopped hesitating. I found a random hip hop studio by poking around online and I went to my first dance class in months. My body has been screaming at me for it all day, but who cares, my body is moving again! And not just walking or zumba-ing. Actually moving and creating story. I’ve also started back up with small doses of running– thanks to a recent purchase of much-needed running shoes. I am well prepared to bully out the slug monster in my life! Now, after a little bit of internet perusing, I’ve found many articles about the bagel versus English muffin fiasco (as well as about pancakes vs french toast vs waffles, sausage vs bacon vs ham, muffins vs scones vs croissants…you get the idea.) Apparently I’m not the only one thinking about this stuff, and even four years ago people were already wondering where the bagel holes were if donut holes were so available. Har har har! Turns out a lot of the discussion around these things revolves around the health factor, and not so much the scrumdidlydumptious factor, of these breakfasty breads. Yaaaawn! And if you care to look, the Urban Dicitonary has an unfortunate definition of bagel holes. And bagels holes are not on the market because bagels are made differently from donuts – bagels are made by twisting dough or tearing a hole up before they are boiled. Apparently donuts are cut. Bagel Hole also happens to be a famous bagel place in Brooklyn. Try it sometime? And tomorrow we shall see if the English muffins sitting in our fridge live up to the expectations I have so highly set for them!